Whether you’re a self-builder or contractor, we can take care of your floors for new builds, extensions and renovations. 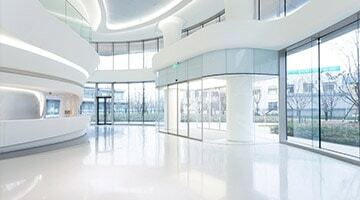 From housing developments to offices, auditoriums and more, we can pump our flow screed into basements or up seven floors. 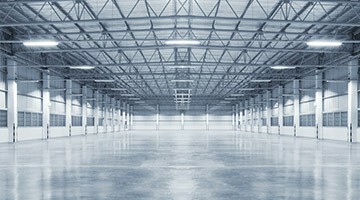 Got a large industrial space that needs a floor? Our flow screed is the quickest and most effective option for covering large areas. Floor screed, or liquid screed, is a versatile approach to floor laying, offering many benefits over traditional cement screed. It’s an excellent choice for flooring in both residential and commercial environments. It is particularly suited to underfloor heating systems, conducting heat quickly and evenly. Our team of specialists will supply and install an exceptional quality flow screed floor in homes or commercial properties across the UK. We believe it’s our excellent service that makes us stand out. You can rely on our expertise throughout the whole process so you can be sure you’re making the right decisions. With many years’ experience in the industry, and a background in construction, we’ve not had a problem we can’t overcome to date. Optional pre-project visit: we can arrange for one of our specialists to visit your site before we even supply a quotation so you can discuss any queries. Dedicated Team Manager: they will take care of your entire project from start to finish and be a single point of contact for you. Team Manager on-site: your Team Manager will visit the site so, on the rare occasion that there is an issue, we can resolve it there and then. Our adaptable pumps mean the flow of our screed can be easily adapted from small residential to large commercial jobs. 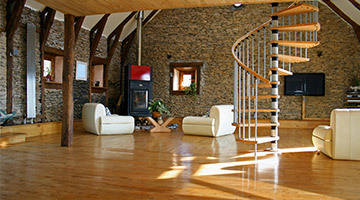 We’ve considerable experience, having installed floors for home renovations, barn conversions, flats and apartments, commercial buildings, sports halls, community centres, schools, offices and more. Based just outside Norwich in Norfolk, we operate across East Anglia and the UK. We work with leading national merchants and independents to secure top quality materials for every job we undertake.